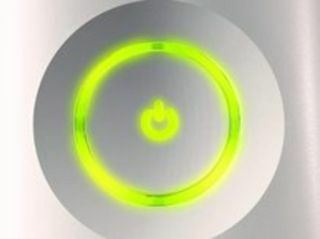 We whetted your appetite with 10 Xbox 360 tricks Microsoft won't tell you, now here are seven more handy tips to help you get the best out of your console. Bit of a controversial one this, at least as long as you count "possibly burning your house down" as controversial. What it is is a short-term fix for the infamous red rings of death, the mournful LEDs that announce your 360 is deaded. There are various theories about why it works, but the important thing is that, for some people, it does. The way to do it is to wrap the console in a towel or two - ensuring all sides of it are covered - then turn it on and leave it running for 10 minutes or so. Then turn it off, remove the towels, turn it on again and pray. If it's worked, it'll only stay alive for a few hours, but doing this a couple of times may be enough to get you through those long, lonely days while you wait for Microsoft to collect and replace your dead Xbox. Again though, it's dangerous - it could damage the console further, and could cause enough heat to set stuff on fire. Is your 360 dawdling along like a gin-addled pensioner? It's possible its hard drive is full up with junk files from old games and downloads - a spring clean could work wonders. There's a hidden function to clear out the cache, though be warned it'll delete any game patches too, so you'll probably have to redownload a few. Head to the System blade, select memory, HD, then press Y. Next, hit X, X, Left Bumper, Right Bumper, X and X. You should get a message about maintenance. Don't expect miracles, but if a game's been slowing down mysteriously lately, this could cure it, plus free up some extra space on your HD. Microsoft's continued refusal to add a web browser to the 360 is infuriating, but there are a few ways to stare at the internet with your console if you've also got a PC in the house and on the same network, and running either Windows XP Media Center or Vista Home Premium/Ultimate. There are several ways to do it, but perhaps the easiest is the MCE Browser plug-in. It's somewhat limited, but set it up on your Media Center PC then configure your 360 as a Media Extender and you can access your favourite web pages from it.